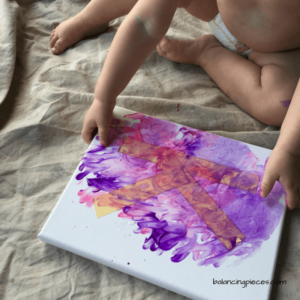 Toddlers love to finger paint, it lets their creativity go wild and it is so fun to make the mess. 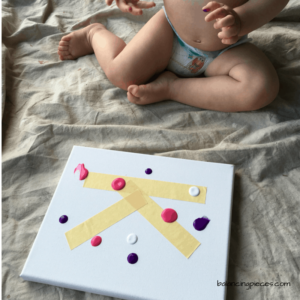 We made some fun nursery decor with a few craft supplies. 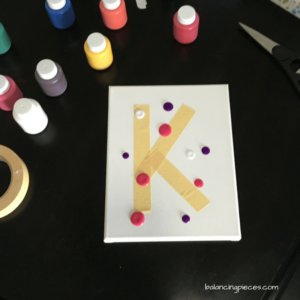 After rummaging through my craft supplies, I came up with an idea for a DIY with my mini. 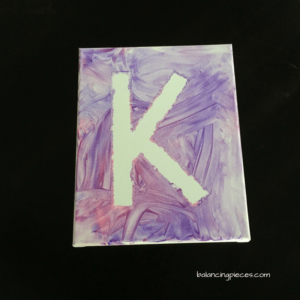 Next I drew out the letter I wanted (K) with the tape. 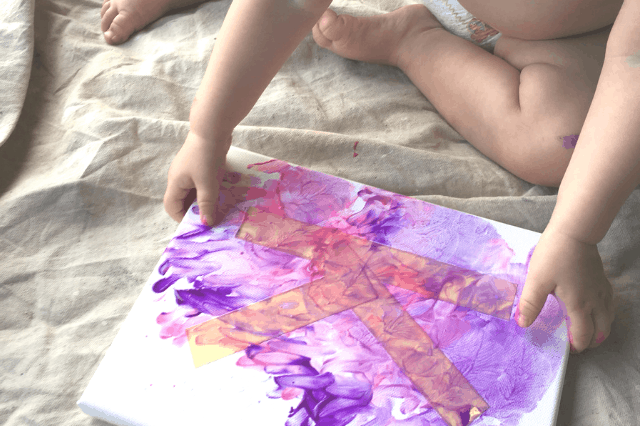 Then I put a few drops of different colors on the canvas. I chose purple, pink and white. 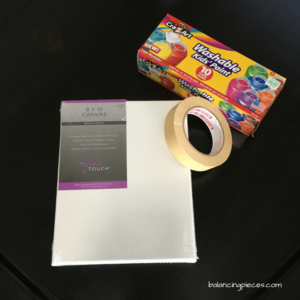 Place the canvas on the floor on top of a drop cloth, the tile kitchen floor would’ve been fine, but this was readily available anyways. After some encouragement by her daddy, she was all in. Let dry, then peel off the tape. I now realize that I should’ve used painters tape to keep the paint from bleeding however masking tape was all that I initially had available. I actually don’t mind the bleeding, it looks cool. 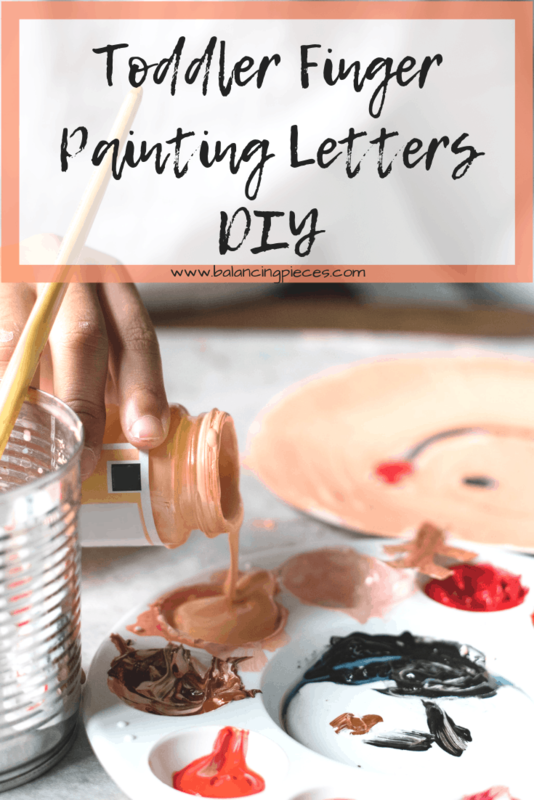 This is a great idea and very simple, I’m going to do this with my mini she loves to paint, thanks for sharing!